​Everybody makes mistakes. But this one is just a little too personal for poor Colt McCoy. Washington Redskins head coach Jay Gruen misspoke and mentioned "Kirk" instead of "Colt" when speaking about the status of his quarterbacks. Jay Gruden: "Alex is throwing it well and so is Kirk, I mean Colt. Jesus." The Redskins finally parted with ​Kirk Cousins this year after having him under the franchise tag for two entire seasons. Then, they signed three-time Pro Bowler ​Alex Smith to a four-year, $94 million contract. Alex Smith has been the headline for the Redskins this year, but let's not forget the most familiar face of all: ​Colt McCoy. McCoy is entering his fifth straight year in Washington, and though he hasn't attempted a pass since 2015, Coach Gruden is confident that the team could turn to McCoy if necessary. That is, if he can remember his name when the time comes. ​​Tough break for Gruden. After all, Cousins was with the Redskins for six years, but that doesn't mean McCoy's presence as a backup should be downplayed. 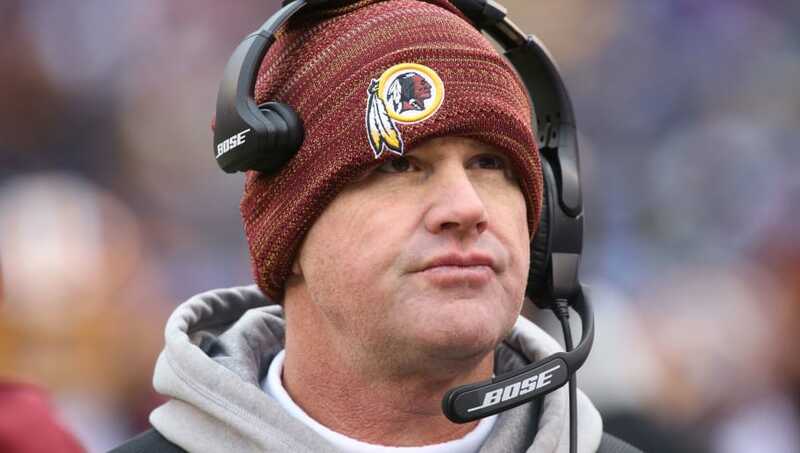 Hopefully McCoy's one-year contract extension will make up for Gruden's error. As long as McCoy continues to throw well during training camp, Gruden will remember his name. At least, we hope.